I spent all of January, February, and most of March writing my next book. Whew! It was a lot of writing in not a lot of time, and to get it turned in by my deadline, I had to give up one of my favorite things–READING. Every minute that I wanted to be reading, I knew I needed to be writing, so I cleared the pile of books off my nightstand and got to work. Two and half months and a complete manuscript later, I looked at my to be read pile–that had somehow managed to grow –and dove right in. I hope to tell you about several of the books I’ve read since then, but I wanted to start with The Maid of Fairbourne Hall by Julie Klassen. Set in the English countryside and dealing with the upstairs and belowstairs and the lives of masters and servants, I hoped it would appease by craving for something–anything–Downton Abbey-esque. Turns out, I was right. I picked up all 410 pages of this book on a Thursday morning plane ride and finished it by the next evening. I couldn’t stop reading the fascinating tale of the belowstairs, as seen by a lady of leisure. The pace is nice and easy, with just enough intrigue to keep me turning pages, but never more than seemed to fit. I was transported to 1815 and the life of spoiled soon-to-be heiress Margaret Macy. I didn’t love her at first. I didn’t even like her very well–that is until she risked her own life to help a well-to-do coach driver and his unseen passenger. And of course, the hero Nate was everything a good romantic hero should be. Flawed and imperfect, yet absolutely redeemable. One of my few complaints is that I thought it ended a bit abruptly. I’d have liked to read more about Nate and Margaret. But maybe that’s just a sign of a good book. You never want it to end. 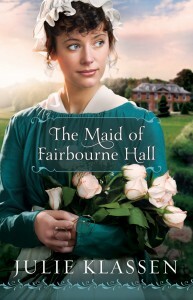 If you’re looking for a trip to 19th Century England, open the pages of The Maid of Fairbourne Hall and dive in. I think you’ll be glad you did. Here’s a little video treat for all you book lovers out there. If you’re anything like me, you’ll find this delightful. And find the need to go curl up with a good one right now. Enjoy! Well, I’ve been doing a bit of reading lately. And I’ve got to confess. I ran into a couple of books that I just couldn’t seem to finish. They weren’t bad, per se. More like slow. And I just couldn’t get myself to that point where I couldn’t stop reading, so I gave up. Yes, I recognize that I could be missing out on some exceptional literary works by doing that. I also realize that I only have so many hours in a day, and I want to really enjoy the ones I spend reading. 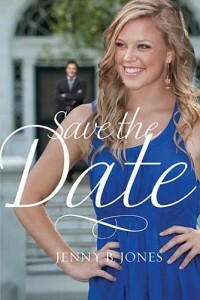 So imagine my joy, when I recently picked up a copy of the very, brand new (not really available everywhere until February) Save the Date by one Miss Jenny B. Jones. When funding for Lucy’s non-profit job is pulled, she is determined to find out why. Enter Alex Sinclair Enterprises–the primary donor to Lucy’s non-profit organizaiton. Alex has it all…except for the votes he needs to win his bid for Congress. Despite their mutual dislike, Alex makes Lucy a proposition: pose as his fiancée in return for the money she desperately needs. Bound to a man who isn’t quite what he seems, Lucy finds her heart–and her future–on the line. And now my comments. Read this book. Really. Seriously. Go find a copy of this book and read it. If you can’t afford it, tell me, and I’ll mail you my copy. It’s wonderfully funny (like when Lucy thinks that Alex looks like “man dessert” and I laughed so hard I snorted) and a thoroughly deep exploration of the lies we listen to about ourselves. 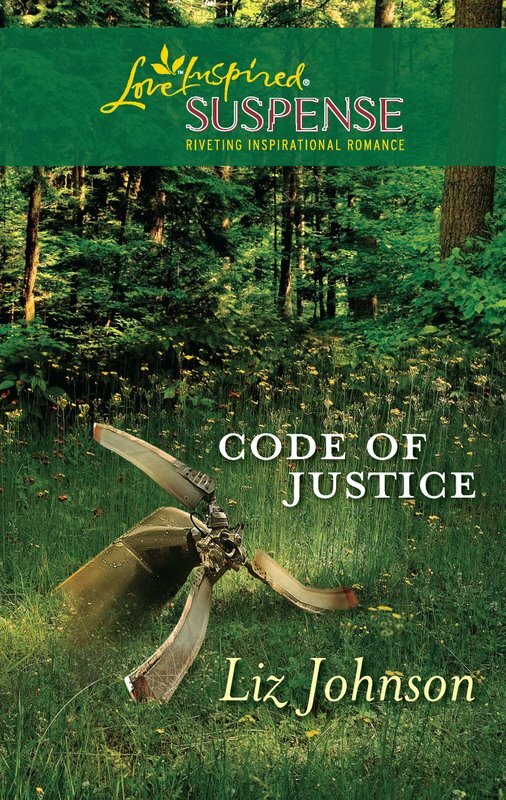 I loved so many things about this book–like the fact that the hero is a former football star and the way the heroine will do anything to save the home she runs for girls who have aged out of the foster care system. And don’t even get me started on Julian and Clare, who have just discovered Jesus and offer hillarious commentary on the Christian walk. Save the Date tugs at your heartstrings in all the right places and gives you hope and joy for the hard times. See ya next year, Christmas lights! I took down my Christmas lights and tree and all my decorations this weekend, and if you’ve been following the blog, you’ll know why. If you haven’t, I’ll give you a hint. I finished writing the Christmas novella that’s due on Tuesday!! Yuppers! The book is done, edited, and nearly ready to send off to my editor. And now I feel a little like this. Join me in a little dance, if you will! This week I had a terrible revelation! My books are piling up at an exponential rate. I’m having a terrible time keeping up with reading the books that I’m buying. 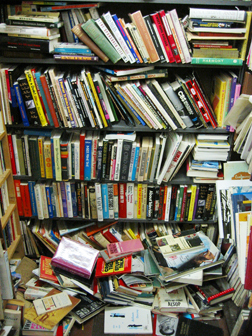 Piles abound, and the books–books that I really want to read–don’t get read. I just keep getting more books, and not reading them. At this moment, I think my current ratio is about 3:1. If I’m only reading 1 book of every 3 I’m buying, that’s not ideal. Mostly because I want to be reading them. But also because I’m feeling a little wasteful (even if a lot of the books I’m getting are being traded for on paperbackswap.com). I don’t want to be wasteful. But also, I love books. I love being surrounded by them. Someone said something amazingly creative enough to get published, and even if I don’t know the words yet, there’s something thrilling about knowing they’re there, on the printed page, covering my floor. But sometimes I think I need to only buy books that I’ll actually read, so I have a quality 1:1 ratio. But then … well, how will I know if I’m going to read every book that I get? And just because I haven’t read the books yet, doesn’ t mean that I don’t want to. Which all leads me to the all-important question. What is the ideal ratio for book buying? Is it only 1:1? Or is it 3:2, so that you have some spares for next year or the next? Or is it 5:1 so you always have more books than you could possibly read? And then I hit the last page, and there they are, practically shrouded in angelic light. 25% Off here or there. 33% off for Grandparent’s Day or whatever other obscure holiday approaches. 30% off for just being me! And I think it’s never been so good to just be me. So I tell myself that I’ll just swing by FCS and take a quick peek. I don’t have any money, and I certainly don’t need anything. I have stacks of unread books at home. But it won’t hurt to just swing by the store and browse. Maybe I’ll get a good idea for Christmas presents–even if it is still 11 months away. Then I find myself tucked between two rows of equally sweet smelling books. I reach out to touch one. Just to feel the texture of the cover. Maybe take a little sniff. I do love the smell of new books. And suddenly the book is tucked under my arm as though I’m going to buy it. You don’t need it, says my wise inner voice. And before I know it, I’m at the counter setting a pile of books next to the register and proudly slapping my coupon on the top. I smile, thinking to myself how much money I’m saving on all 13 of these books. And then the kindly cashier says, “That’ll be $93.” I choke back a sob and dish out the dough. I can’t very-well part with one of these precious books now. Nope. Now I’ll take all 13 of my treasures back to my bulging bookshelves. And when I look for grocery money the next week, I’ll remember where I spent it. And I’ll know that that’s the trouble with coupons. Okay, so like many of you, I have enormous numbers of old books laying around. Books that I bought and read and enjoyed (or didn’t enjoy) but don’t need to keep around the house anymore. After all, my bookshelves are nearly crumbling under the massive weight of the books that I do want to keep. In the past I’ve tried to sell some older books to used bookstores, but that never seems to net much profit. In fact one time it cost me $5. I drove to downtown Colorado Springs and parked at a meter in front of a used bookstore there. I popped my quarter into the meter, figuring 15 minutes would be plenty of time. I dropped my box of books at the front to be considered. Then began strolling the aisles. Being very fond of books, I somehow got lost among the tomes and ended up returning to the front of the store about 30 minutes later. They bought 5 of my books for $5 total. I figured it wasn’t a complete waste. Until I got back to my car and saw the $10 parking ticket. The long-sense expired meter had done me wrong! And I ended up owing $5 more than I made on my books. Bummer. So this week, I decided to see if I could figure out a good way to pass my plethora of used books along to other readers, who might also want to read them, without the threat of another parking ticket. This is not a great place to look when you’re in a hurry to get a new release. Likely there are 40 other people looking for the same new release and only a couple readers who are offering it. Patience is key to using this site not only in the afore-mentioned situation, but also in waiting for your books to arrive. It can take almost 4 weeks for books to arrive at your home. It can also take a long time for someone to order one of your books, which means you’ll be waiting a while before you can order the next book you want. Look for books other than novels–PBS has a great selection of nonfiction and textbooks. This is a great place to look for out of print or older titles that bookstores may not be carrying. Please! Don’t abandon your favorite local bookstore. Whether you’re a Barnes and Noble, Borders, Family Christian, or even an Amazon fan, these stores offer a certain guarantee of selection and prompt service that PBS just can’t. Everytime I start reading a new book, I tell myself that sleep is overrated. As I crawl into bed with a new book and before I start reading, I give myself a little pep-talk. I don’t need sleep tonight. I’ll be fine. I don’t need more than 6 hours of sleep. It’s no big deal. This book is totally worth it. Every night that I start a new book, I have that same conversation with myself. Recently I was reading a YA by one of my favorite authors Tina Ferraro, and I knew that I should put the book down. It was starting to get late, and my eyes were starting to droop. But I only had 50 pages to go, and I wasn’t sure that our heroine would end up with the right guy. I couldn’t put the book down yet. So I kept going. Kept reading. Kept my eyes open. And then it was done, and the last page ended. I closed the book, turned to flick of my bedside lamp, and glance a my clock. Or I should start at a more reasonable hour so I can finish a book by 11 and still get a good night of sleep.